Researchers have identified a new way of treating kidney cancer cells which is based on titanium and gold compound. This gold based compound has the clinical capability to destroy the kidney cancer cells, while leaving normal cells unharmed. In the experiments conducted so far to prove the mettle of these new compounds, a clear conclusion has been arrived at how the metal-based compound shrank tumours. The researchers are also confident of the fact that these metal compounds performed better than the US Food and Drug Administration (FDA) approved platinum drug, Cisplatin, showing excellent promise for further clinical development. The study highlights the increased effectiveness and reduced toxicity of anti-cancer compounds containing the two metals, titanium and gold. “Kidney cancer is frequently diagnosed in the late stages when there are minimal options for treating the deadly disease. The hope is that this could potentially lead to new therapies that would extend the life span of cancer patients who are diagnosed late,” said Joe Ramos, professor at the University of Hawaii Cancer Center. Unlike previous metallic compounds known to fight cancerous cells, this titanium-gold compound does not attack DNA, but rather causes cancer cell death by blocking a group of enzymes that supports cancer cell survival and their spread, the researchers said. “A gold based compound (called Auranofin) has been used to treat rheumatic diseases for years and has recently been used in clinical trials for the treatment of some cancers such as Chronic Lymphocytic Leukemia,” study co-author Maria Contel, associate professor at Brooklyn College, The City University of New York, noted. 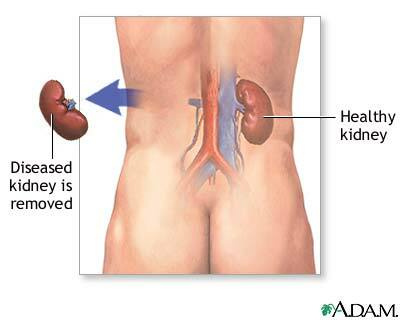 “However, that drug does not work well for kidney cancer. An important finding for us was that the incorporation of the titanium fragment into the similar gold based compound increased the activity and specificity towards kidney cancer,” Contel said. The findings appeared in the journal Chemical Science.